Note: Your Webserver must support PHP (4 or higher). 1. 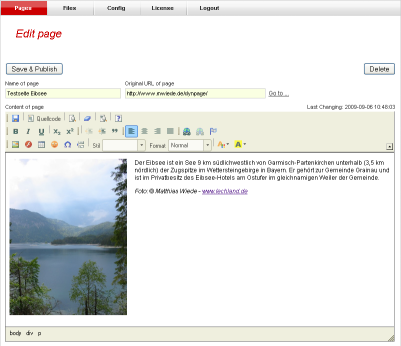 Download DynPage: dynpage.zip or dynpage.tar.gz. 2. Unzip dynpage.zip into the home directory of your Website. After that in your Website exists the sub directories dynpage and dynpage_upload. 3. Set file write permissions for following directories. You can set the permissions with your FTP program (CHMOD). If you have problems with the installation, please read FAQ.